Dr. Idna Corbett has been named Vice Provost for Undergraduate Academic Affairs at Northern Kentucky University, Provost and Vice President for Academic Affairs Sue Ott Rowlands announced Monday. Dr. Corbett is Dean of Undergraduate Studies and Student Support Services at West Chester University of Pennsylvania. 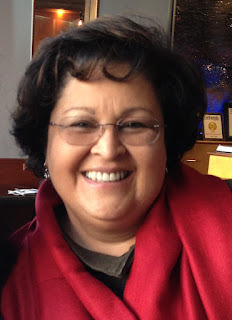 She has worked extensively in the areas of student retention and outreach, particularly to the Latino community. As Vice Provost for Undergraduate Academic Affairs, Dr. Corbett will oversee curriculum and academic policy, undergraduate research, developmental education, the Honors Program and Norse Advising. She will also be the University’s first Vice Provost of Hispanic descent. “One of my main goals will be to pull together all the different units that report to the vice provost to make sure they are working harmoniously and moving in the same direction,” she said. In addition to 23 years as a professor and administrator at West Chester University, Dr. Corbett has taught at Universidad Pedagógica Nacional in Honduras, Messiah College’s Philadelphia campus, and as a Senior Fulbright Fellow at Universidad Católica in Nicaragua. Dr. Corbett holds a B.A. from Goshen College, M.Ed. from Michigan State University, and Ed.D. from Temple University. She and her husband, Bob, a middle school science teacher and baseball coach, live in West Chester, PA and are looking for a home in the Greater Cincinnati/Northern Kentucky region.